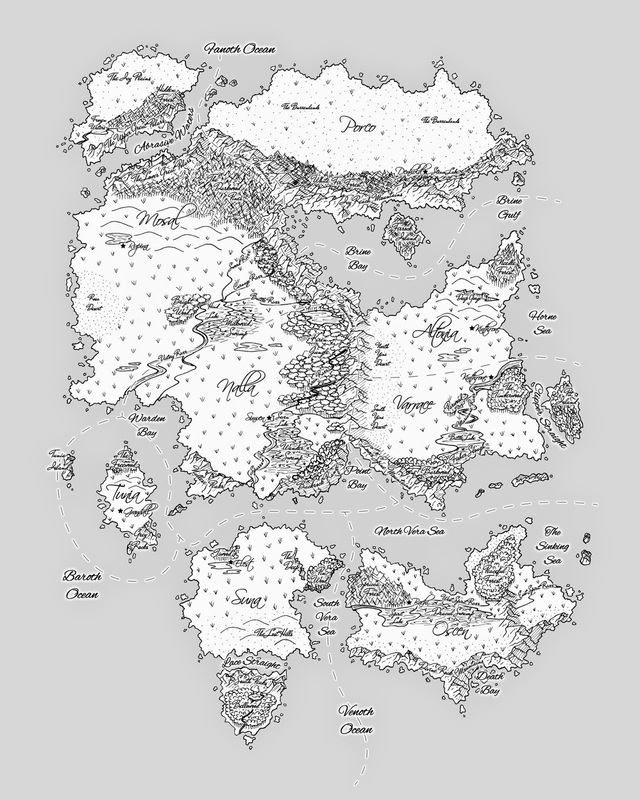 Have you ever wanted a custom map for your book/game/project/wall? Well now you can have it! I've opened up commissions for custom land maps. To check out the details, you can click on "Map Commissions" at the top of the site, or click here. Sample "world" map... it's almost finished! Featuring oracle card decks, roleplay settings, maps, written works, card games and various other gaming materials. Don't forget to follow us on Facebook as well! Wild Husky Publications and all of its products © Megan Gorecki 2013-2014. This website uses trademarks and/or copyrights owned by Paizo Publishing, LLC, which are used under Paizo's Community Use Policy. We are expressly prohibited from charging you to use or access this content. This website is not published, endorsed, or specifically approved by Paizo Publishing. For more information about Paizo's Community Use Policy, please visit paizo.com/communityuse. For more information about Paizo Publishing and Paizo products, please visit paizo.com."